Welcome to DIVA Crows! We have two purposes. 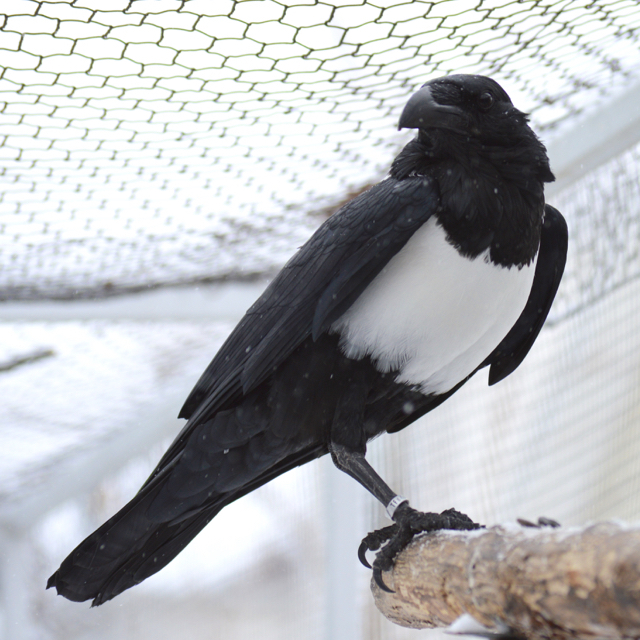 The first is to promote interest and awareness about corvids (crows, jays, ravens, magpies). The second is to inform the public about what it is like to rehabilitate songbirds who have been orphaned or injured so that they can be returned to the wild where they belong. Read the DIVA Crows blog to follow along with our adventures, learn about these amazing birds, and pick up a tip or two about co-existing with the other songbirds in your backyard. Lurk, comment, donate, or take action — your choice. All are welcome. To help you get oriented, here is brief description of the cast of characters you will meet when you visit the world of DIVA Crows. 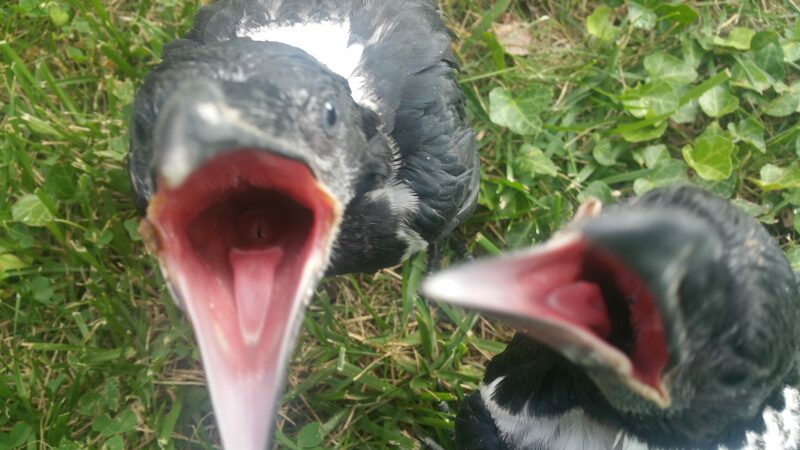 Gwendolen Wilde & Stephen Crowbert, aka Their Imperial Corvid Majesties. 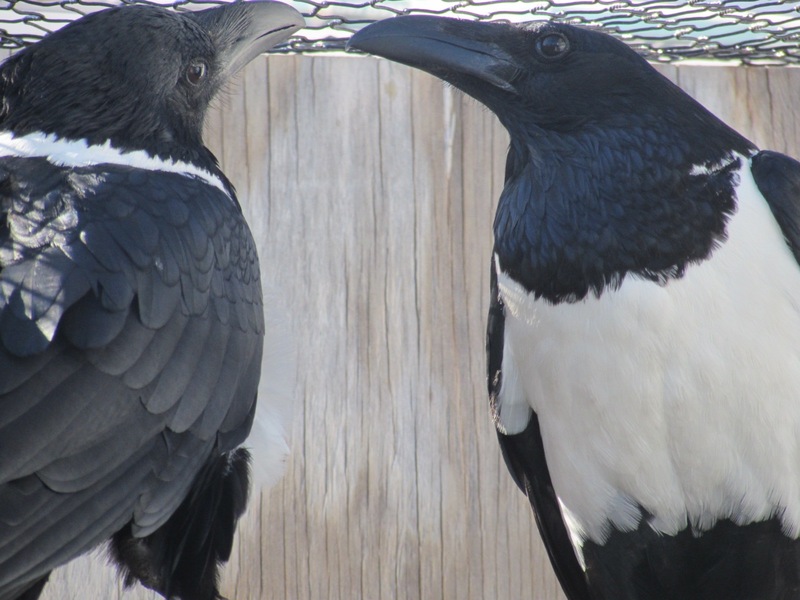 Gwen and Stephen are a breeding pair of African Pied Crows. Gwen is the brains of the operation while Stephen provides the brawn. 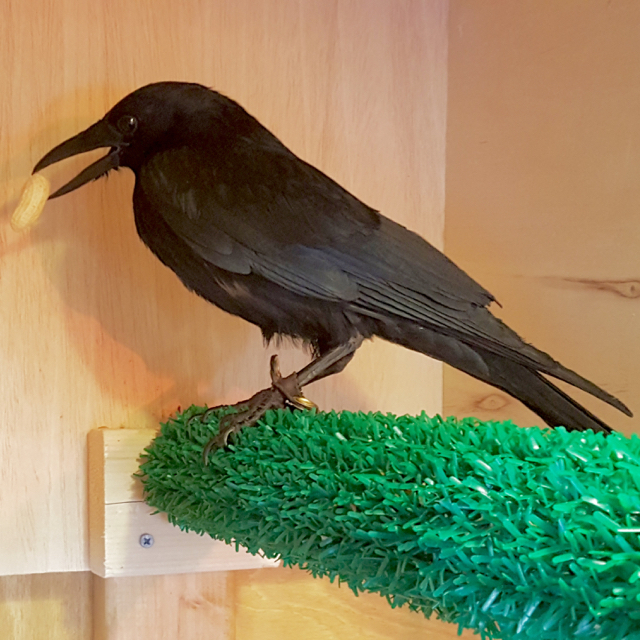 Zen is an American Crow who was hit by a car and is unable to fly. The injury also made him unusually calm for a crow, allowing him to become an education bird. 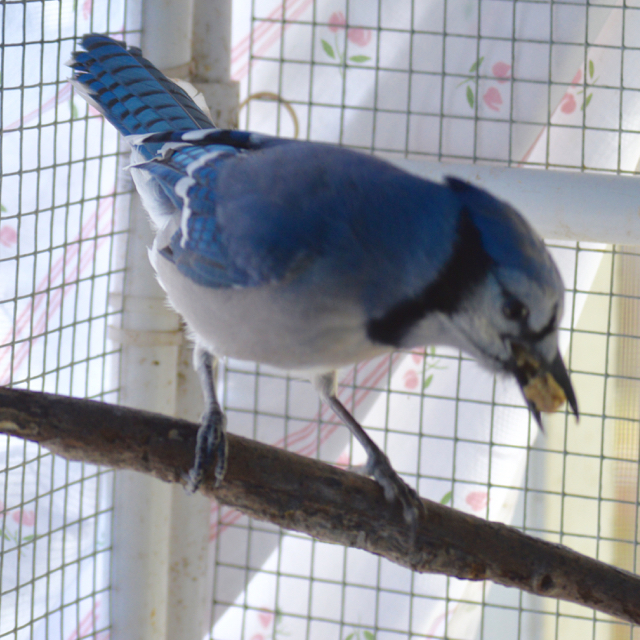 Snafu is a blue jay who was imprinted on humans as a fledgling and thus cannot survive in the wild. Offspring of Gwen and Stephen who grace us with their presence in the summer before heading off to permanent homes. 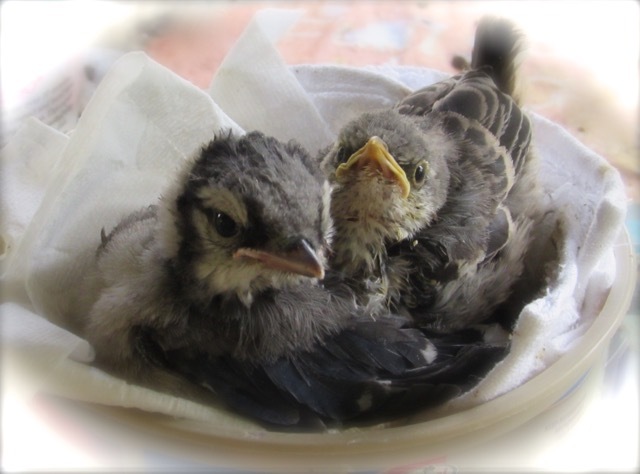 Tweety Birds who are orphaned or injured and come to DIVA Crows until they are well enough to return to the wild. 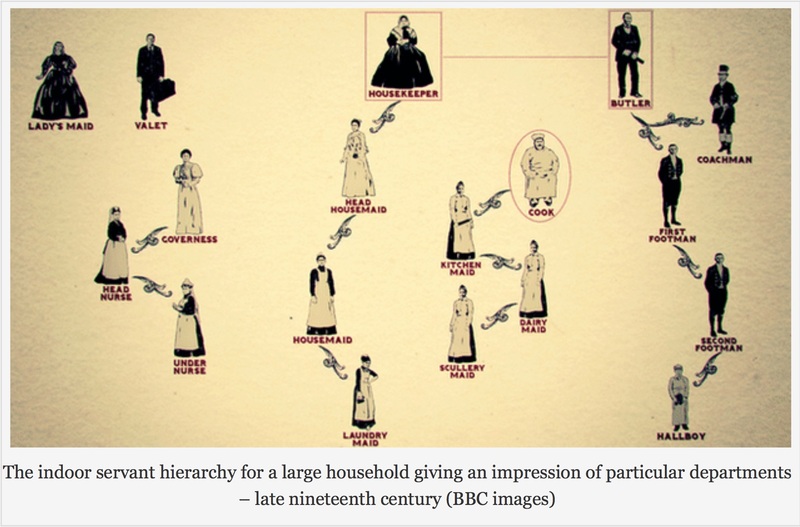 The birds require an extensive human staff, including Room Service Woman (your humble narrator) and her long-suffering spouse Minion Man (aka Super Hub) along with their Super Friends and Children. Occasionally, special expertise is required, including the Zen-Whisperer and dedicated vets and vet techs. African Pied Crows are not native to the United States and so I may keep them without a permit. They are a little bigger than an American Crows and have a white collar and chest. They share with their American cousins intelligence and attitude, however. There are many good sources of information about crows on the internet (as well as other species in the Corvid family, which includes ravens, magpies, jackdaws, and jays) and I draw upon many of them when posting on this blog. I have no special training in avian behavior. I write this blog because it is fun and because I knew nothing about crows until a few years ago. Learning about them, and sharing their world, has been a tremendous experience that has given me a profound respect for these birds, their language, social structure, and sense of humor. In order to rehabilitate songbirds and hold bird native to North America for educational purposes, I had to obtain a total of four permits from the federal Fish and Wildlife Service and the Commonwealth of Virginia. In short, do not try this at home. It is a felony to keep a bird protected by the Migratory Bird Act (essentially all of them) without the proper authorization. If you find an orphaned or injured bird, contact a wildlife rehabilitator in your area. I hope you will enjoy sharing our adventures and come away with some understanding of these amazing neighbors. Let the 2019 Games Begin!